So adorable! I don't think I've ever said that about math or numbers before, but this has been one of my favorite games to design. Teaching kids what a number really represents lays a foundation for their future success in math. Teachers use a variety of manipulatives - dice, blocks, tally marks, ten frames, dominoes - to reinforce number knowledge. 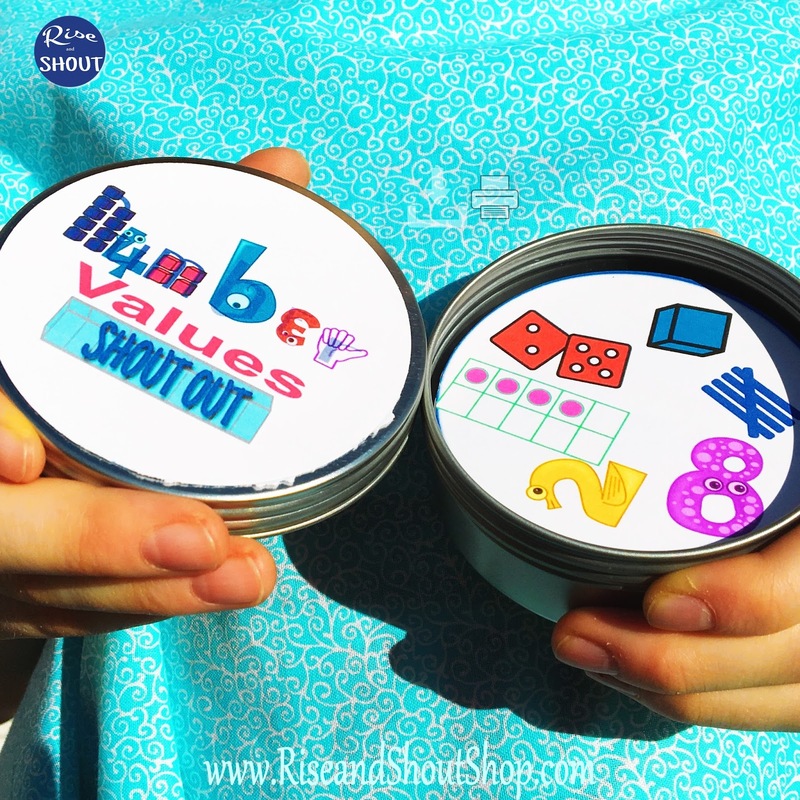 This fun filled, quick paced matching game builds on their budding math skills. Perfect for teachers and students. Great for Friday Fundays, math centers, or for taking along on trips to the beach or Family Fun Night. To play, each player starts with a card and the remaining cards are left on the pile. Each player compares their card to the pile to find a match. Amazingly, there is one match, and only one match, to every other card on the deck! (It's a little higher math to figure out how to do that!) Find and Shout Out your match first to get the card. Grab the most cards and WIN!